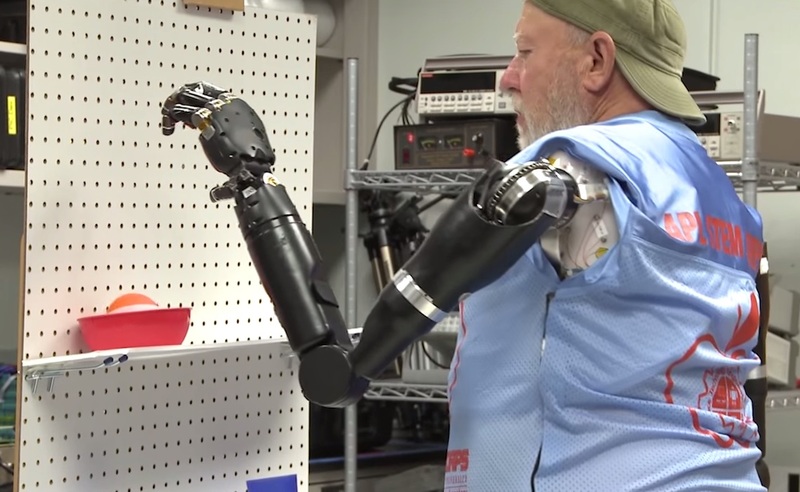 Last time we posted about robotic limbs, we saw an awesome prosthetic leg and a slick robotic hand and wrist combo. This latest project from Johns Hopkins University Applied Physics Laboratory features a full harness over a man named Les Baugh, replacing both of his full arms (which he lost in an electrical accident). This essentially gives him back both of his arms. This is a huge step and the fact that he’s controlling them simply by thinking is amazing. Just imagine how much more advanced these will be in just five years from now! What an incredible boon this’ll be for folks who have lost limbs. Video embedded below!